After writing about improving Alexa PR for newbies, I will now give more tips about Alexa. Write as many articles as you can about Alexa, because it will help you get higher level on your blog. Many blog writers or users surf the web using Alexa to increase their blog page rank. Do you know what Alexa Rank is? It is most likely that many new bloggers still don't know about the Alexa ranking system. According to some sources, Alexa PR is a website or blog level created by Alexa. 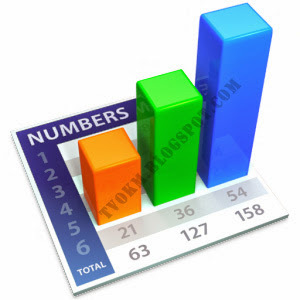 The bottom line is to see the total amount of visitors to your website or blog. Many uses Alexa to find the blog, from the rank are low or high. The smaller the number showed on Alexa, the larger the stage of our blog. So with the Alexa Widget used with our blog, the better we are able to monitor our blog page rank. However, how important is the Alexa ranking on our blog? According to my research, Alexa Page Rank could be a useful benchmark for our blog to find out how popular the blog is to our visitors. A higher rank on Alexa's measurement system will it show that we have been collecting many interesting articles that entertain our visitors. If you are interested in one article on a blog, you certainly will remember the blog address and title of the article that you like. Someday you will come back to open the web page / blog and you will read again the contents of that article. The point is continue writing or make articles that will get more readers to come back to visit your website / blog. Placing the Alexa toolbar on your browser will be profitable for your website/blog because you often visit your own blog rather than others. The most important thing is make an honest post-do not cheat by using other people's blogs. You also may register your blog on many of the famous search engines, such as MSN, Google, and Yahoo. You also could try to participate in a forum, such as Myspace, Facebook, Friendster, etc, to promote your blog, but too many promotions may be considered as Spam. After writing a good posts, you can promote your blog on many ad sites or you can use the services which produce a little money such as ClickMe or Google Adword, a more competitive site. very nice well written article thanks for share.